One of the most important factors in deciding which VPN service to use is where the service is located and functions from. Surfshark functions under the British Virgin Islands jurisdiction where there is no obligatory data retention law, which excludes the VPN service provider from having to store logs, which makes the company’s location perfect. In other location, the data retention legislation has a huge impact on VPN providers as the mandatory data retention law enforces that ISPs store all data and that all records are made available on demand. Surfshark VPN encrypts user’s data connection, which makes it impossible for hackers, governments, NSA or ISP’s to monitor websites accessed, files downloaded, Skype activity or use of P2P applications. The VPN service protects all user’s online privacy and makes it impossible for third parties to control or track browser activities or any online communications. Surfshark VPN not only protect users IP address it also disguises their location, while its safe and fast servers allow secure browsing at top attainable speeds. Due to its location, the VPN services let you access all servers conveniently, while numerous other countries place restrictions on streaming services, and location censorship affects travellers. The VPN service provider’s servers use static IP addresses which keeps the same when users connect via the same server. Should users connect via the optimal location option they are given an IP address of the server closest, to ensure the best speed and overall performance. By collecting via a specific country offers a connection to the optimal server in that location, and therefore connecting to via the same country location might assign different IP addresses. 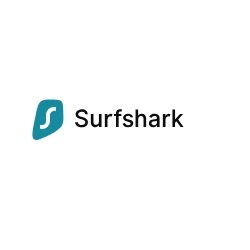 Once online users connect to Surfshark VPN’s servers both their IP address and DNS addresses will change, the DNS address adapts that of the Surfshark server to prevent any DNS leaks while all DNS request is completely protected. One of the biggest advantages of using Surfshark’s VPN is that an unlimited amount of connections is available simultaneously, due to the exclusive services available to users, the VPN enables all customers to connect to their servers via as many devices as needed. It is advisable to connect to different servers via several devices, or it could cause connection interferences. No logs are kept on users outgoing or incoming IP addresses, purchasing, downloading or browsing history, the VPN servers used, information regarding the session, the use of bandwidth, connection timestamps or network traffic. Information stored on the Surfshark VPN servers is the users account information as well as email address used for connecting to the VPN. When it comes to data security, Surfshark offers AES-256-bit network traffic encryption, secured connection when public WIFI is used, enterprise-grade reliability and infrastructure as well as IKEv2 and OpenVPN security protocols. It is one of the most reliable services, assistance provided to users 24/7, while setting up is easy, an unlimited number of devices are supported, and torrents are welcome. Online users can test Surfshark VPN’s service promises of 24/7 user services, uncompromised privacy and security, reliability and enterprise-grade infrastructure, no logs policy, fast and unlimited content delivery and unlimited services via a 30-day money back guarantee plan offered across all packages. Secure payment options include AliPay, several cryptocurrencies including Bitcoin, as well as credit cards including Discover, AMEX, Visa and Mastercard, while it is also possible to pay via PayPal. With the 30-day money back guarantee it is easy first to test the VPN service, while users can upgrade their initial purchases at any time by changing their subscription via their profile. There are absolutely no hidden costs with Surfshark or any additional payments. Surfshark makes VPN installation really easy and the process starts by downloading the Surfshark IKEv2 certificate, once it is downloaded, open the certificate and a prompt window will open. Select to install it on the local machine and select trusted root certification authorities store to install it. By selecting next, followed by finish the installation is completed. Setting up the VPN connection is as uncomplicated and requires the opening of the Windows start menu, followed by typing “control panel” to open the application. Select “network and internet” followed by selecting “network and sharing centre” and then select “set up a new connection or network”. This is followed by selecting the “connect to a workplace” option, pressing next and selecting “use my internet connection (VPN) and then enter the following information: internet address, destination name, and users can choose to allow others to use this connection or whether it should remember credentials. This is followed by pressing to create and choosing properties to open the security tab. Information required includes the type of VPN – IKEv2, data encryption, which might require disconnection if declines and authentication, once saved users can open their network setting and connect to Surfshark IKEv2. It is impossible to install Surfshark on the following devices, PlayStation, Xbox, Chromecast, Roku, Smart TV, Amazon Fire TV or Apple TV. The only way to protect these devices is by setting up your router with the VPN. Should new members have any difficulty with the downloading and installing of the VPN, Surfshark support is only a click away. Assistance is offered via email and live chat, while the support team also offers technical support to ensure quick solutions via accurate advice, while several setup guides and tutorials can be found in the Setup Guide section. As a Surfshark user, you are never exerted by any data limits, bandwidth or speed When it comes to international VPN ratings, Surfshark scores 9.8 for performance and speed, 10.0 for support and it uses the strongest encryption. According to several tests, Surfshark is one of the faster VPN services, and it does not apply user restrictions by implementing limitations. The VPN service provider promises it, users, optimised speed for streaming services, including Netflix and most users report streaming at 4K, while the service offers seamless torrenting. The impressive downloading speeds could be partly due to the strategically planned server locations around the globe. Surfshark is relatively a newcomer in the VPN world and stands out when it comes to VPN services. It is one of the top choices for individuals who prioritise privacy, speed and performance, value for money and exceptional support. Three monthly payment plans are available each offering unlimited connection, extreme speeds and absolutely no logs, while users are guaranteed of the best service via the 30-day money back guarantee. Surfshark VPN is not only favoured for its speed and reliability but also the best for torrenting and streaming, while it supports Netflix, Kodi, Hulu and BBC. Set-up times are under two minutes, logs are not kept, users can enjoy privacy and security via the most secure protocols, and with seamless connectivity, Surfshark VPN offers everyone a great user experience.